1. What is Vertimowing or Lawn Scarifying? Vertimowing lawns is the process of removing an excess build-up of thatch. Only certain grasses can be vertimowed because the lawn is repaired from regeneration from the stolons and rhizomes (runners) after vertimowing the lawn is completely free of thatch and dead material and will then recover as it was when it was first laid. Generally the more aggressive lawn varieties will require vertimowing. For example, high performance Couch hybrids such as Wintergreen, Greenlees Park and Santa Ana will require vertimowing more often than a less aggressive species such as Sir Walter Soft Leaf Buffalo or Zoysia. A correct lawnmowing schedule is the first step in reducing the build-up of lawn thatch and will aid in reducing the necessity of vertimowing. Lawn thatch is the build up of dead stolons (runners) on top of the soil. As lawns continue to grow and regenerate new stolons, the old stolons will die off underneath the new growth. Over a period of time these dead stolons continue to build up into a thicker mat. Thatch build up can be most noticeable when we walk across the lawn and it is soft and spongy underfoot. When mowed, a heavily thatched lawn will always cut back into the brown thatch layer, leaving an unsightly appearance after lawn mowing, instead of being green the lawn is brown after mowing. If mowed with a cylinder mower, the lawn will often be left with what appears to be ‘tram lines’ in the lawn as the very heavy weight of the cylinder mower sinks into the spongy thatch during mowing. Vertimowing removes all of this dead thatch layer. Can Thatch Damage My Lawn? Yes. Apart from the ugly appearance left after lawn mowing, as the thatch layer continues to increase in thickness, less and less of the roots from the new stolons manage to grow into the soil, the lawn slowly starves from lack of nutrients over a period of many years. The second effect is that a lot of water will become trapped in the thatch layer, much of this trapped water will never make it into the soil, but will evaporate instead. An ugly appearance, and increasing poor health from lack of nutrients and water make lawn vertimowing vital in the continuing health of our lawns. When properly completed, the vertimowing process will return a more level appearance to the lawn, as well as leaving a far more beautiful finish after mowing. 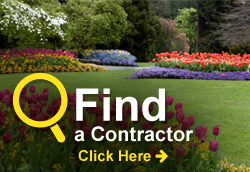 To find a contractor who provides this service please Click Here. The process of lawn coring involves a lawn coring machine being moved over a lawn removing plugs of turf and soil as it progresses. The lawn coring machine is equipped with hollow tubes called tines, which are punched through the lawn and into the soil by the machine as it advances over the lawn. Each tine removes a plug of soil and turf from the lawn, leaving the plugs on the surface as the machine progresses. At the completion of the coring a rotary mower is normally used to clean up the plugs left on the lawn. A quality fertiliser and wetting agents are then usually applied, to be watered in by the home owner. An important requirement of all plants including turf is to have oxygen available within the soil that can be used and absorbed by the root system. Many lawns can become compacted over time by the constant wear they are subjected to, or an excessive buildup of organic material can water-log the soil, starving it of the oxygen it requires. Alternatively the same processes can prevent water from soaking into the soil effectively. And finally, soils of older lawns can become extremely root bound, choked with old and dead roots from many years prior, leaving nowhere for new roots to set down and effectively receive the nutrients it requires. Lawn coring leaves thousands of hollow tube like holes all over the lawn, allowing water, oxygen and nutrients to instantly flood into the root zone. For a lawn that’s been suffering from any of the above symptoms, lawn coring can be like an amazing Turbo Charged Boost. And for all of the above reasons, lawn coring or any other method of lawn aeration should be a part of our lawn care regimen. Weeds are the ugly reality of all lawns. They make even the best lawns look unsightly because they often grow faster than your regular lawns and grasses. Worse they rob your grass of moisture and nutrients from the soil. The very best way to ensure you stay on top of these pests is to have a regular weed spraying program that will systemically eradicate all of the weeds that arrive in all yards. Making sure your lawn looks good for longer periods of time. Coupled with a good fertilization program your lawn will be the envy of your neighbours in a short period of time. While weeds can be described as an unwanted plant there are some usual culprits that cause lawn owners the most heartache. They include: Dandelion, fleabane, flat weed, Bindii and Jo jo. Most of these weeds can be eradicated by a select herbicide spray. While these types of sprays are often available at your local hardware stores these are weak solutions that do not provide the same results as a weed spray from your local contractor. We can clean most of the weeds up with two treatments saving you a great deal of time and money. Sprinkler systems are fantastic for maintaining the correct moisture levels to your lawn. 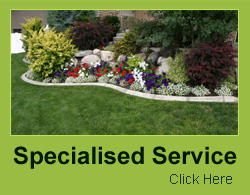 They also ensure you lose very little water by irrigating your lawn at a time of the day that minimises evaporation. So they save you time and money. There is a downside to these very clever systems however – they can occasionally fail. From simple issues like unintentional damage from the family pet through to equipment failure. Either way the investment in reticulation systems means you want it operational again as quickly as possible. Our contractors can achieve this goal with a minimum of fuss and impact on your lawn. We are very good at identifying the problem and finding a solution that is both cost effective and perfectly working..